According to OECD, MRI exam rates per 1000 inhabitants more than tripled from 1995 to 2015 in the United States. 34.2/1000 in 1995. 117.7/1000 in 2015. New section dedicated to spine is now available. There is an overlap between neuroradiology and musculoskeletal radiology in spinal imaging and interventions. Since it is a unique part of body with distinct anatomy and conditions that affect this region, we decided to dedicate one of the main subsections to this field. mskAtlas is growing and now contains 104 cases! If you want to contribute a case or want to be a peer reviewer for mskAtlas please email us. 2010s Manufacturers introduce new sequences and new hardware designs. High speed dynamic imaging enters mainstream. Functional MRI is used to understand normal and abnormal neural pathways in the brain and peripheral nervous system. Diffusion tensor imaging, BOLD and other techniques are further developed. 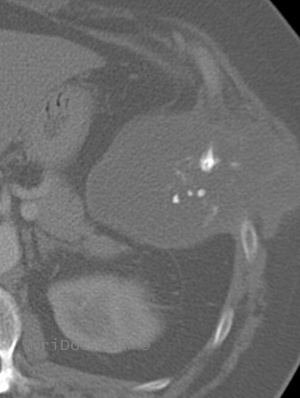 Many centers use MRI for diagnosis and follow up of chest, abdominal and pelvic conditions. 2000s Cardiac MRI, Body MRI, fetal imaging, functional MR imaging are further developed and become routine in many imaging centers. 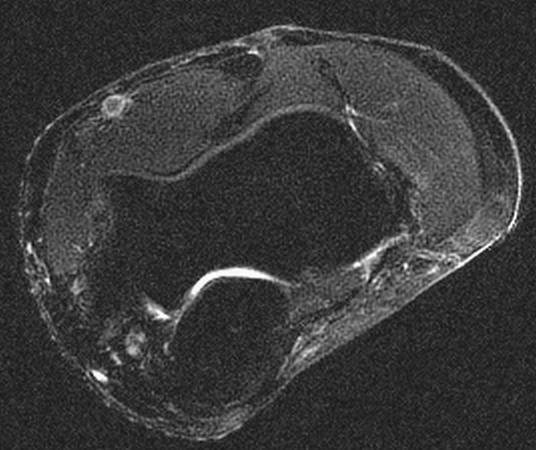 Research centers make significant strides forward in imaging cartilage on high field scanners. The number of free standing MRI centers, most of which utilize low or moderate field MR scanners significantly increases. 1990s In addition to research centers and large hospitals, small remote hospitals and imaging centers begin to utilize MRI predominantly for neuroimaging and musculoskeletal imaging. 1994 The first intraoperative MR unit developed by GE and Harvard is installed in the Brigham and Women's Hospital in Boston. 1993 Functional MR imaging of the brain is introduced. 1991 Filler and colleagues describe imaging of axonal transport of supermagnetic metal oxide particles, a technique, which later becomes important in imaging of neural tracts. 1987 Real time MR imaging of the heart is developed. 1986 Le Bihan publishes an article in Radiology, which describes diffusion weighted imaging (DWI). 1983 Ljunggren and Tweig introduce k-space. 1977 Peter Mansfield improves mathematics behind MRI and develops echo-planar technique, which allows images to be produces in seconds and later becomes the basis for fast MR imaging. 1977 Raymond Damadian produces MR image of the whole body. 1975 Richard Ernst proposes using phase and frequency encoding and Fourier transform for acquisition of MR images. 1974 Raymond Damadian receives his patent. 1973 Paul Lauterbur shows an MR image of a test tube. 1972 Raymond Damadian applies for a patent, which describes the concept of NMR being used for imaging of tumors. He illustrates major parts of MRI machine in his patent application. 1971 Raymond Damadian reports that tumors and normal tissue respond differently to NMR experiment. 1950s Herman Carr creates a one-dimensional MR image. 1946 Felix Bloch and Edward Purcell discover magnetic resonance phenomenon. The purpose of this website is to serve as MRI teaching file. However, as time progresses, cases imaged with other modalities are also included. While the main focus of the site remains on MRI, other topics related to radiology appear here as well. 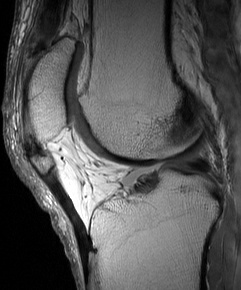 mskAtlas now contains 104	cases. Physics section attempts to briefly describe the basics of MRI in simple terms. Discussions about sequences and artifacts are also included. Check out the search box on this page, which has been set up to query ARRS and RSNA websites and publications.